From exciting family adventures far away from home, to romantic weekend getaways and spontaneous staycations – Hilton Garden Inn has set out to inspire travelers to make those vacations happen. They’ve just kicked off a national Garden Getaway Tour offering amazing giveaways, including an all-expense paid trip to Hawaii! 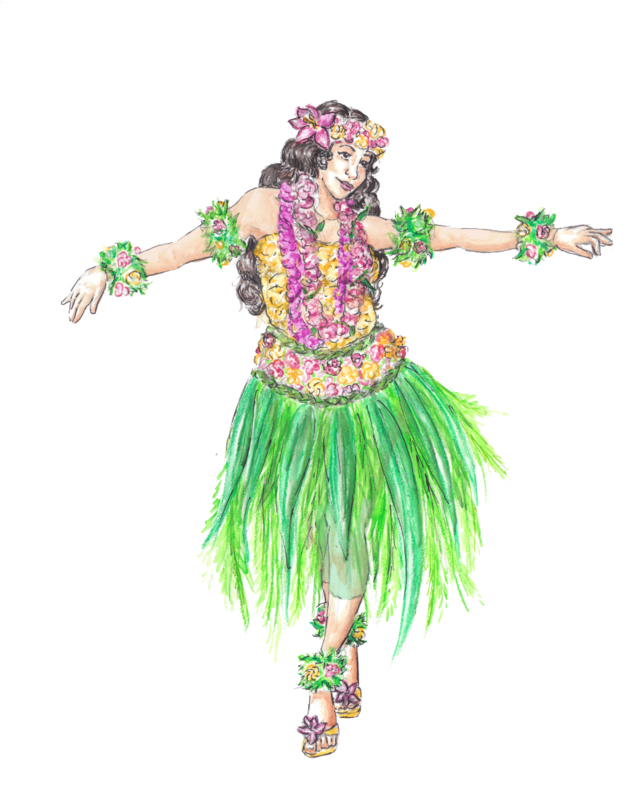 To showcase the vibrancy and garden theme of Hilton Garden Inn’s 600 plus locations, alongside amazing travel destinations – tour visitors will be greeted by Garden Getaway Greeters, adorned in live floral fashions, representing iconic travel spots. We joined in on the excitement at their first stop in NYC, and the floral garments are impressive! Intricately comprised of flowers, leaves, seeds and bark – we left dreaming of our next adventure. Join in on the fun and enter to win that luxe Hawaiian vacation by catching the tour in New York City, Dallas, Los Angeles and Chicago. Simply snap a photo with a Garden Getaway Greeter using #HGIGardenGiveaway and #entry, and share on Twitter, Instagram or Facebook to be automatically entered for a chance to win. Find all details on the Official Rules Page. Marino Bambinos received a complimentary stay at Hilton Garden Inn. When it comes to traveling with our precious little ones, safety comes first. The safest car seats alongside proper installation and usage are of the utmost importance to us. I’ve had my share of frustration installing car seats, and when I heard that Britax invented a solution, I couldn’t wait to learn more. 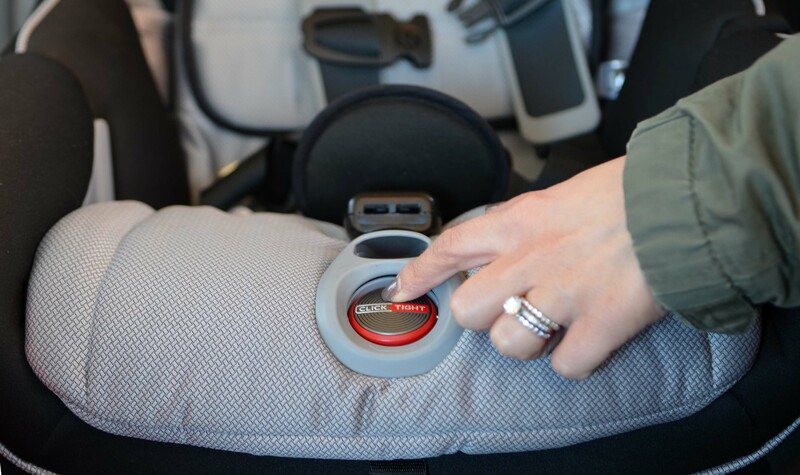 Last summer, I met with team Britax to test out their innovative ClickTight technology in their most popular convertible car seats – The Marathon, Boulevard, and Advocate. With friend Brianne at the ClickTight launch event. Image via Margarita Corporan for Britax. 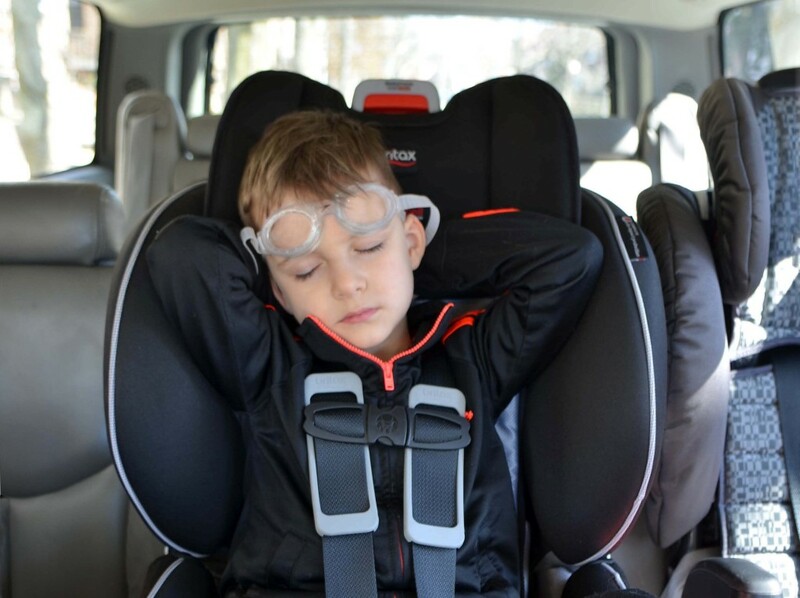 I shared details of the product launch over on Project Nursery – and our four-and-a-half-year-old has been comfortably traveling in the Britax Marathon ClickTight UltimateComfort Series Convertible Car Seat (exclusive to Babies “R” Us). We’ve had big changes over the past month – I now have my own car for the first time in about 15 years! As a two-car, two-kid family, it makes sense to keep one car seat installed in each car, transferring the third seat as needed. Here’s where the Britax ClickTight ease of installation comes in. Simply press the tab on the front of the seat, turn the knob to open the front compartment, slide the belt through the designated spots, buckle the seat belt and click the seat shut. 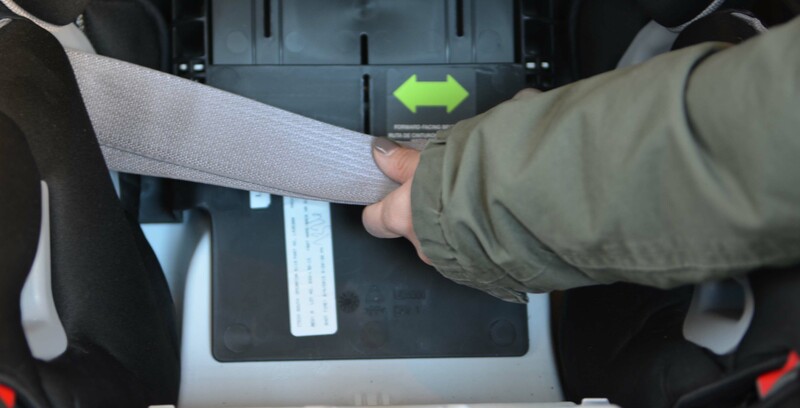 It’s straightforward and simple – and definitely the easiest to install car seat that we’ve ever owned. Our little guy is as snug-as-a-traveling-bug and I feel confident installing his car seat. The SafeCell Impact Protection technology keeps him cocooned in safety with an impact stabilizing steel frame, complete side impact protection, and other features far exceeding Federal Safety Requirements. 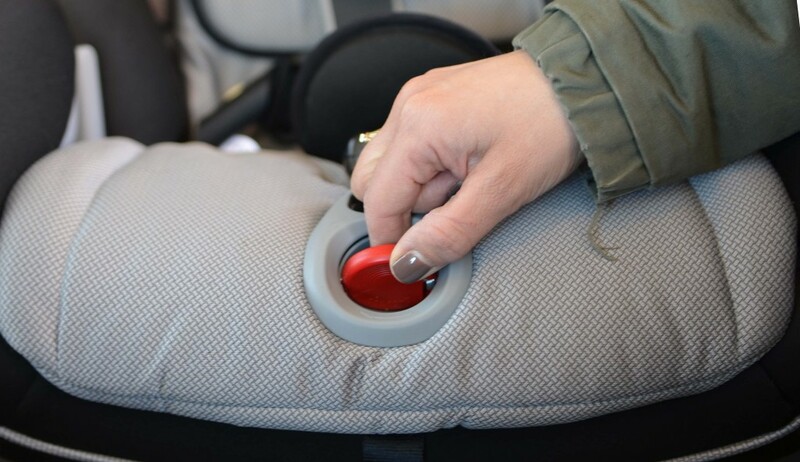 I know that my son is secure – and I hope to never install anything other than a Britax ClickTight again! In addition to all of the great features of the regular Britax ClickTight convertible car seats, the Babies “R” Us exclusive UltimateComfort Series models also include a layer of soft, resilient memory foam, exclusive fabric options, and a removable cup holder. We’re so excited to partner with Britax to give one away! Win It: Enter to win a Britax Marathon ClickTight UltimateComfort Series Convertible Car Seat ($339.99 value) via the rafflecopter below. This giveaway is open to US only, and a winner will be displayed on the widget at contest completion. Best of luck! Sample provided. Opinions, as always, are my own. 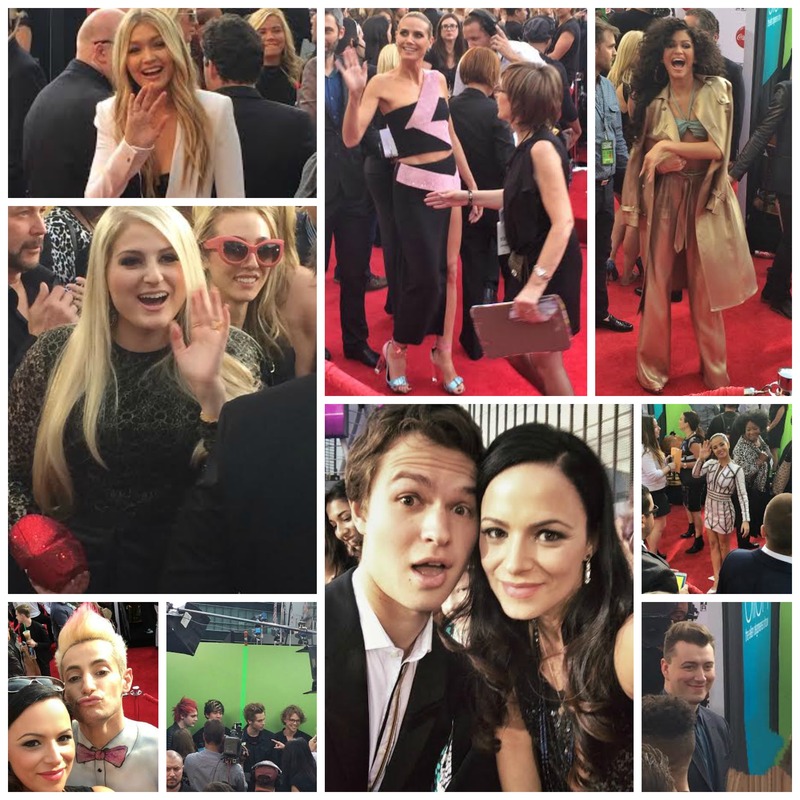 In a whirlwind trip, I just returned from L.A. to attend the 2014 American Music awards, at the Nokia Theatre, with Kohl’s, in collaboration with their Disney Frozen Sing Your Heart Out contest. A surreal experience for Marino Bambinos! A few days prior, the excitement arose while getting outfitted at Kohl’s. I had a dress in mind but found what I was looking for in pants, a sparkly top and booties from the Simply Vera – Vera Wang collection. And I completely lucked out with petite sizing! A great moto jacket by Candies, and fun accessories from Simply Vera and Juicy helped to pull it all together. Find full outfit details from Kohl’s here. Before I knew it, I was immersed in the AMAs red carpet. And as music’s biggest talents and actors rolled in, I found myself perched front and center in Kohl’s designated spot. As the red carpet swarmed with stars, I was beyond exited for the performances – and fully swept up with the fashion and glamor. 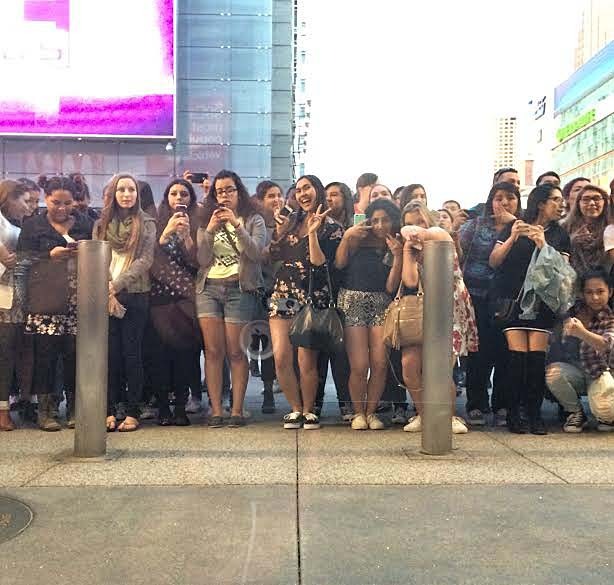 The excitement inside and encasing the Nokia Theatre was palpable. The spectacular performances were unlike anything I’ve ever experienced – as tunes from our family-car jam sessions performed live before my eyes. From Taylor Swift’s levitating kick-off in a suspended dining set – and the stunning Lorde in a box and smeared-lipstick ending. To the gaggles of One Direction fans in Olympic-level hysterics. I was simply blown away by Sam Smith’s serenades, Imagine Dragons’ vocals, Fergie’s stage presence, Jennifer Lopez in person and so much more. It was pure brilliance to experience and attend with Kohl’s. Especially when the collective energy rose for 5 Seconds of Summer, new artist of the year – presented by Kohl’s. Kohl’s partnership with Disney Frozen – the movie of my kiddos childhood was truly exciting for me. Beginning with an early Frozen screening with Idina Menzel, to my Elsa Costume tutorial’s unexpected shares, and the kids’ meeting Elsa and Anna at Epcot Center nearly a year ago today. Kohl’s Frozen tie-in felt serendipitous – and I think I was rooting for every single Sing Your Heart Out finalists vying for the coveted on-air commercial spot during last night’s award show. The well deserved sister-duo, Katherine and Kelly, ultimately took the lead with their beautifully harmonized rendition of Let it Go! Congrats girls! Special thanks to Kohl’s for an unforgettable experience. Opinions, as always, are my own. 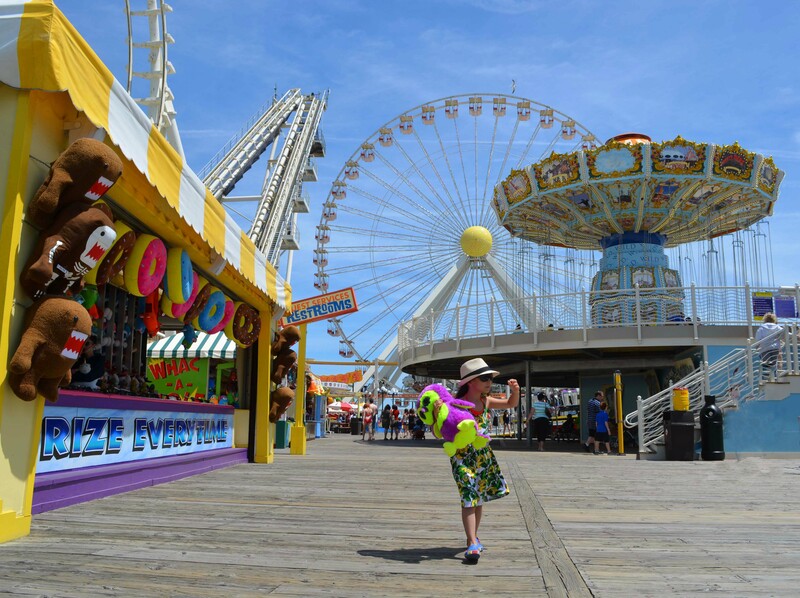 New York City Public Schools officially wrapped up yesterday and there’s nothing quite like welcoming summer with carnival rides and old-school boardwalk fun on the beach. We recently ventured to the southern end of the Jersey Shore to visit the famous seaside amusement park, Morey’s Piers & Beachfront Water Parks in Wildwood, New Jersey. 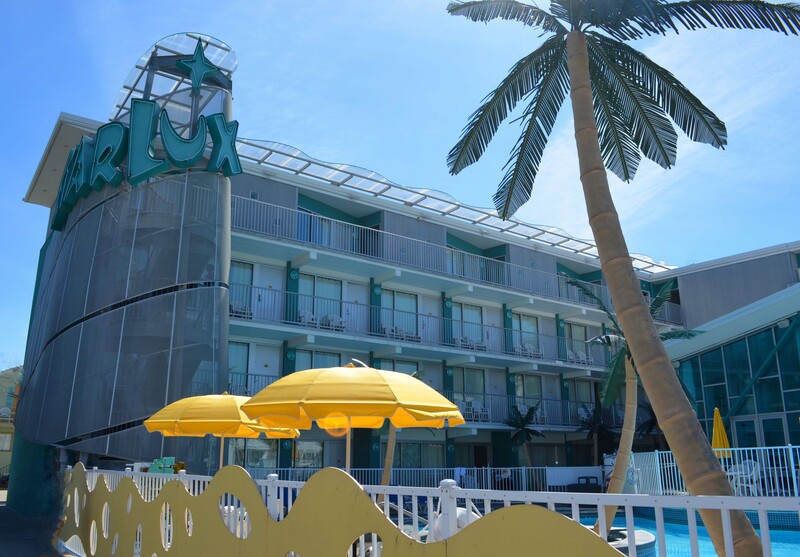 We stayed steps away from the boardwalk at the Doo Wop inspired StarLux Boutique Hotel, complete with retro inspired lava lamps and faux palm trees. 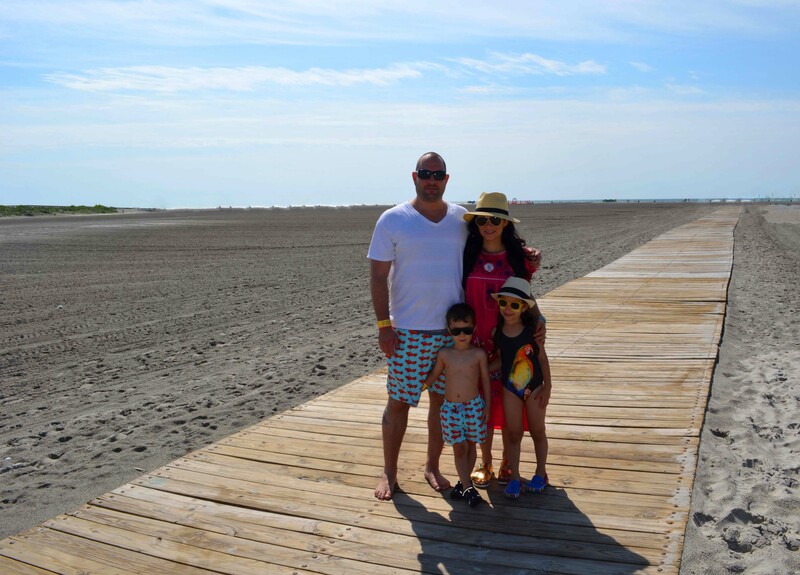 Although the kids would have been content with a hotel stay and pool alone – there was plenty of exploring to do! 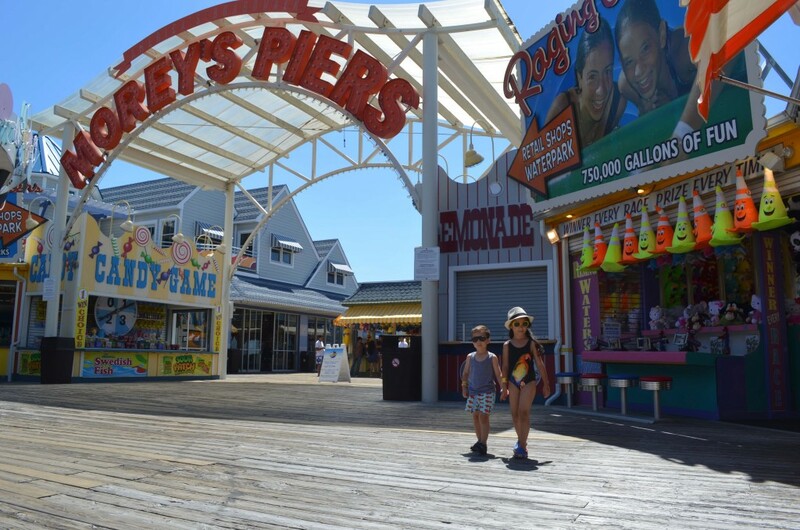 We came with memories of a few family Jersey Shore vacations – but had never experienced anything as expansive as Morey’s Piers which encompasses over 18 acres across six beach blocks. 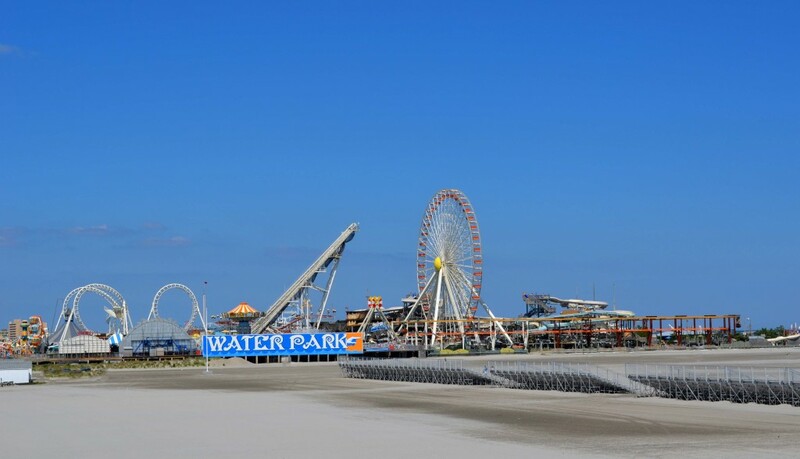 With three amusement piers and two beachfront water parks boasting over 100 rides and attractions – there was truly something for everyone. 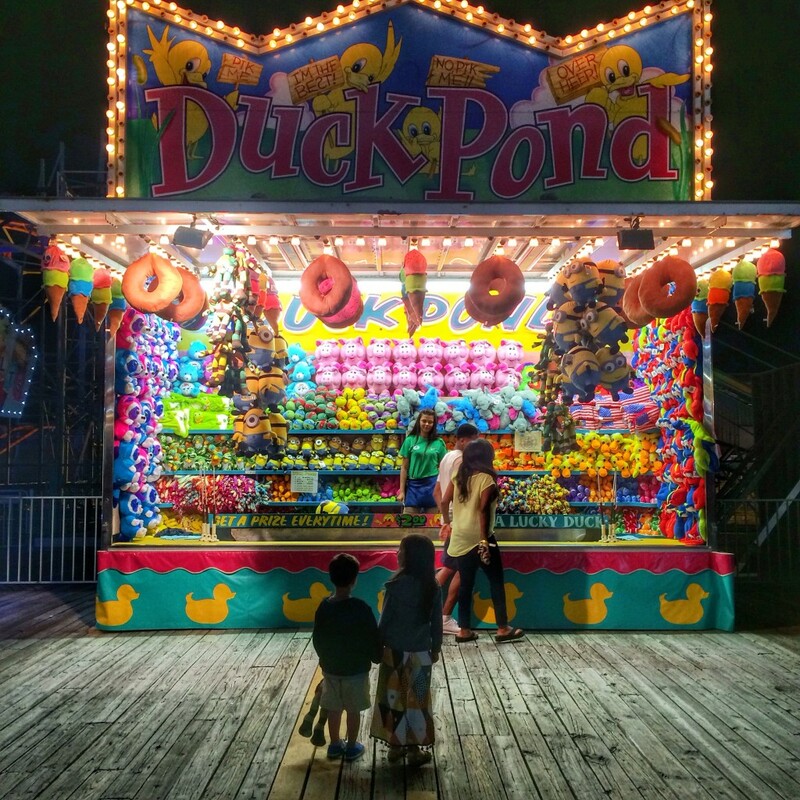 The classic boardwalk vibe along with the pure excitement of a beach amusement park made for incredible fun – and our days were filled with the sort of stuff that childhood dreams are made of. 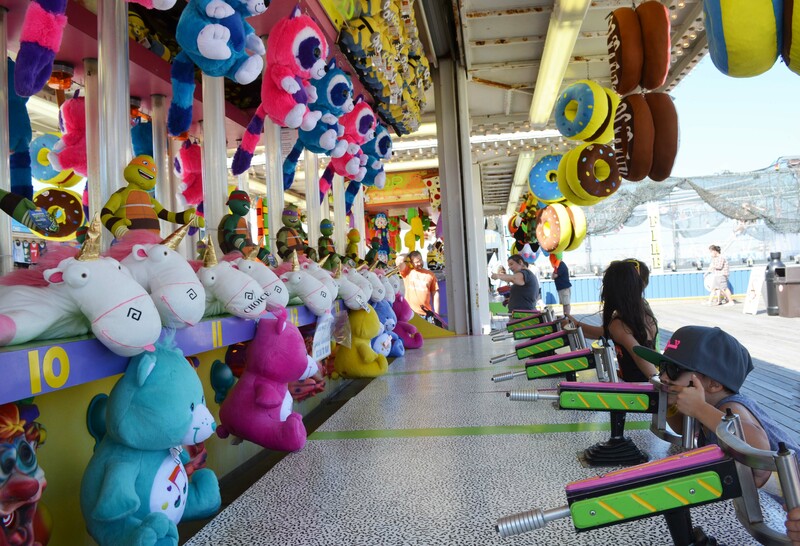 Wishes on quarters brought home new stuffed friends and rides-galore captured quintessential kid-filled joy. 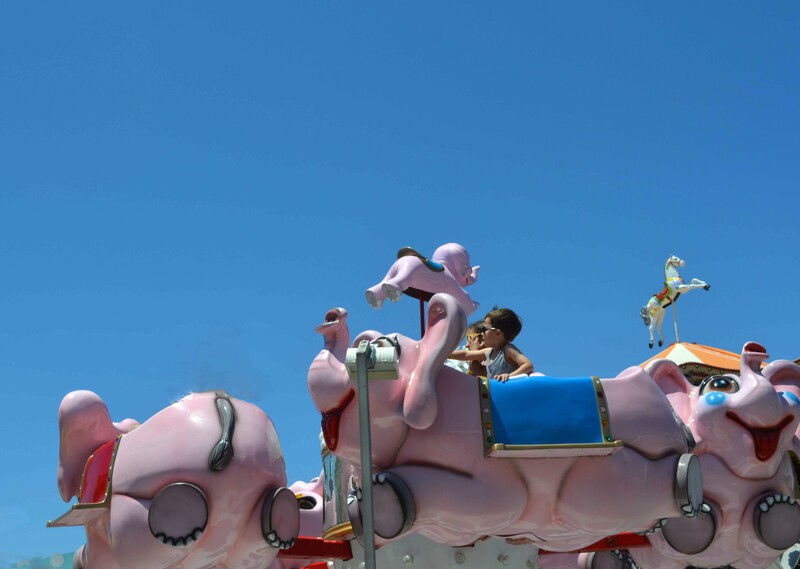 My littles continue to speak about riding into the sky on the pink elephants at Mariner’s Pier and the whimsical horses on the 44-foot Venetian Carousel at Surfside Pier. 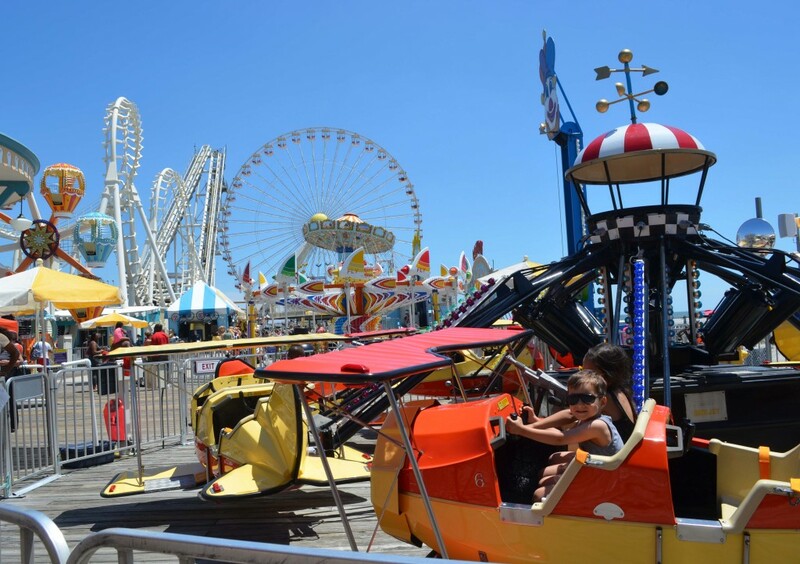 As we watched adventure-seekers on the intense, extreme rides – I immediately acknowledged the simple pleasure in having young children at Morey’s Piers. And plenty of attractions brought out the child in all of us. 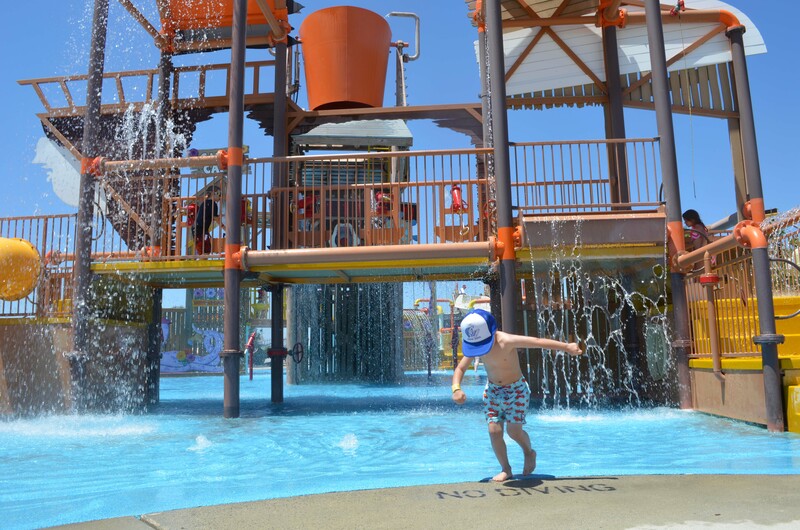 The adventures continued at the Ocean Oasis Water Park and Beach Club, located on the beach behind Surfside Pier. 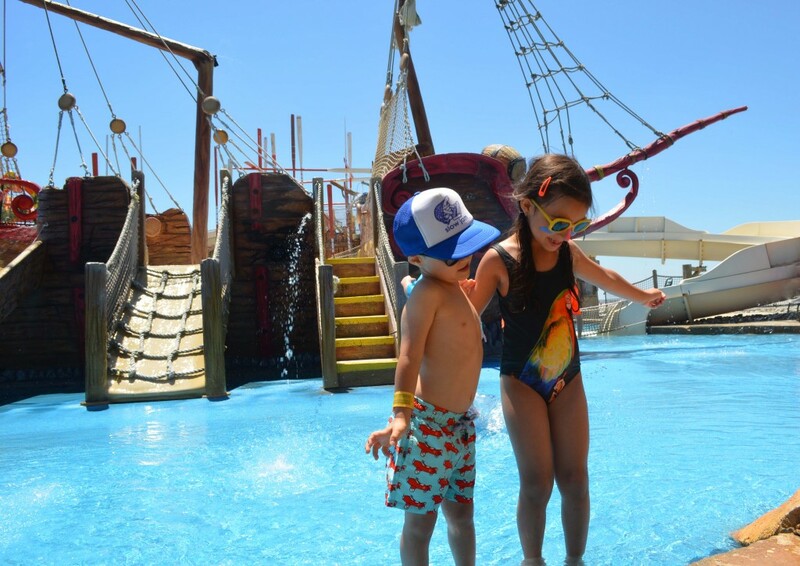 The kids couldn’t get enough of the water attractions at the Bonsai Beach children’s themed area. And I admittedly dreamed of solo time with my husband at the adult relaxation pool – equipped with a swim up bar. 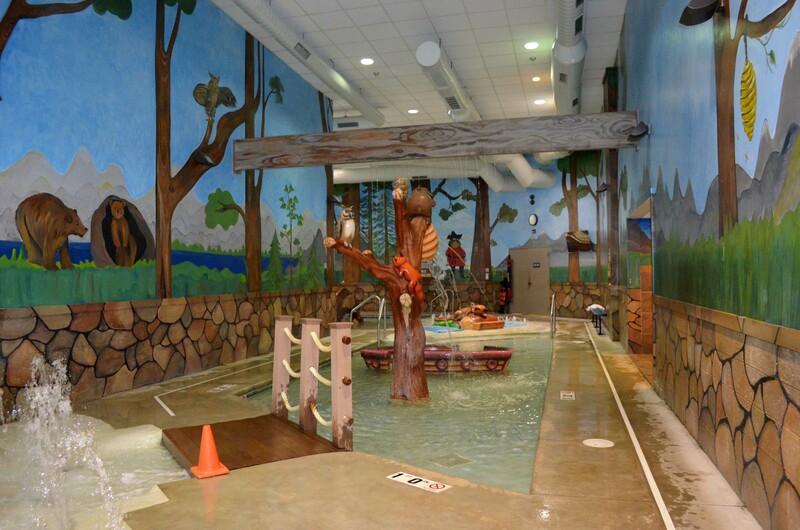 Although we spent our time in the designated kid’s area, the water park includes a thrilling Cliff Drive Slide, a Wipe Out! Slide, a relaxing lazy river and private family cabanas. With over twenty food stands and eateries to choose from, we indulged in fresh local seafood, salad and brick oven pizza at Joe’s Fish Co. on Surfside Pier. 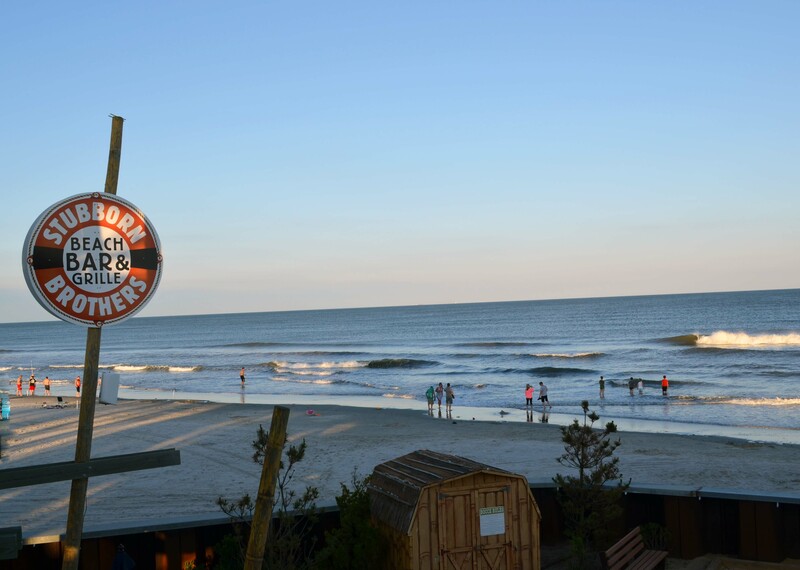 We also enjoyed the food and atmosphere at Stubborn Brothers Beach Bar and Grill where we met Morey brothers Will & Jack. They told us the story of the restaurant’s many name incarnations (previously Oasis Cafe and Soggy Dollar) – and the signature fare and specialty cocktails brought us back the following day. 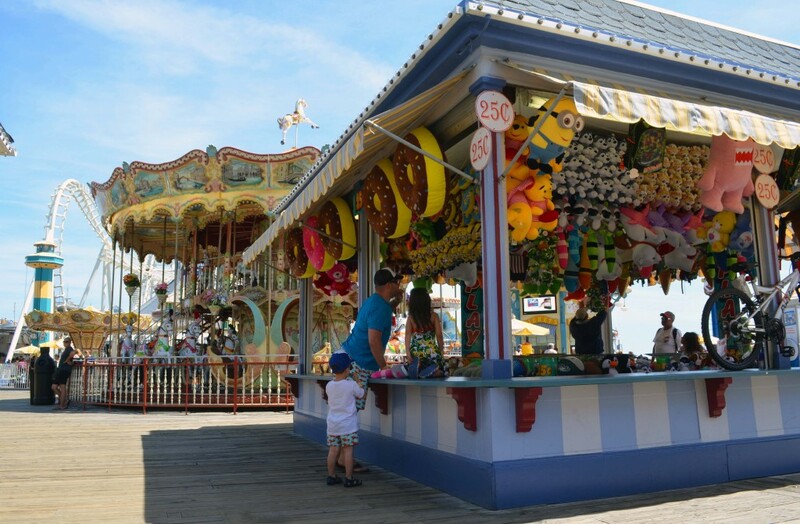 The boardwalk also has plenty of fun food and treats, including Curley’s Fries – a boardwalk staple since 1974. 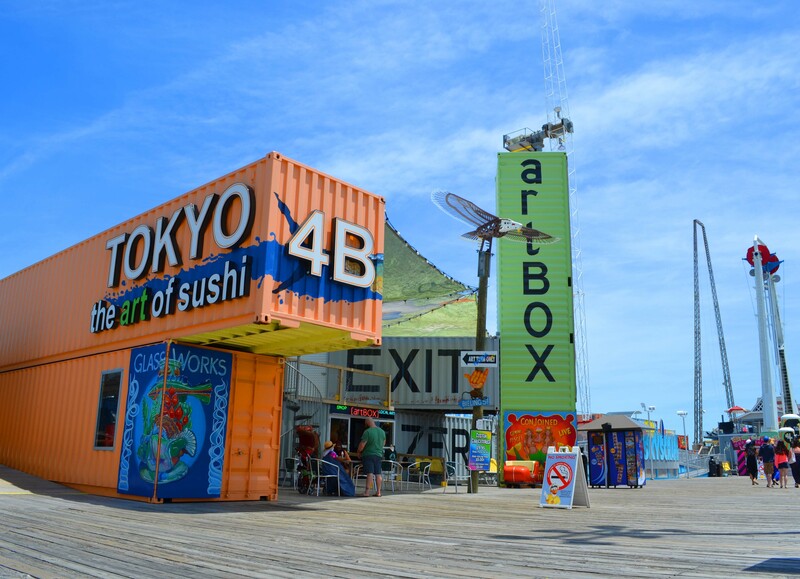 One of our favorite activities took place on Adventure Pier, at artBOX, an interactive artists’ colony constructed from re-purposed shipping containers. 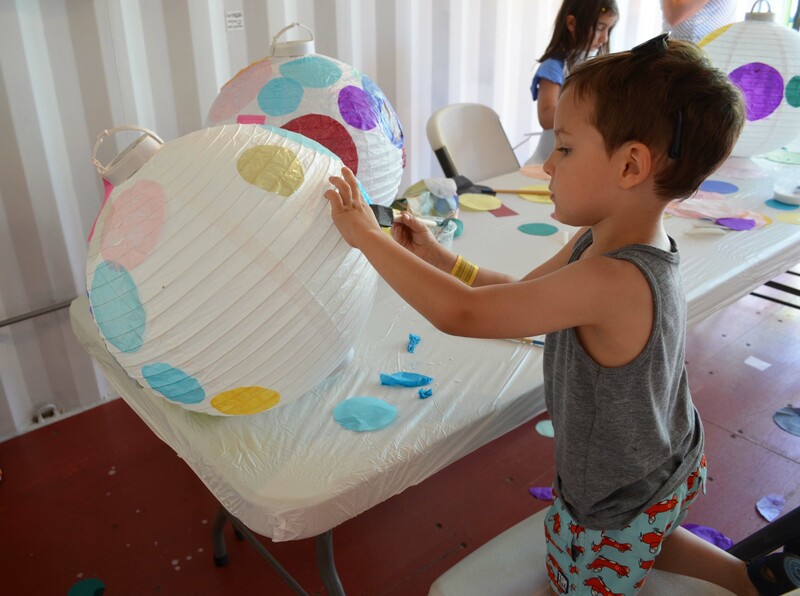 The kids had fun decorating paper lanterns with mod-podged tissue paper, while the older kids spray-painted street-art inspired skateboards. The kids really enjoyed immersing themselves in crafts and I had a chance to speak with artist David Macomber, who led the activities. I found it interesting that he created a lot of the park’s signage and I enjoyed his displayed work along with the artistic respite in the middle of a massive amusement park and boardwalk. 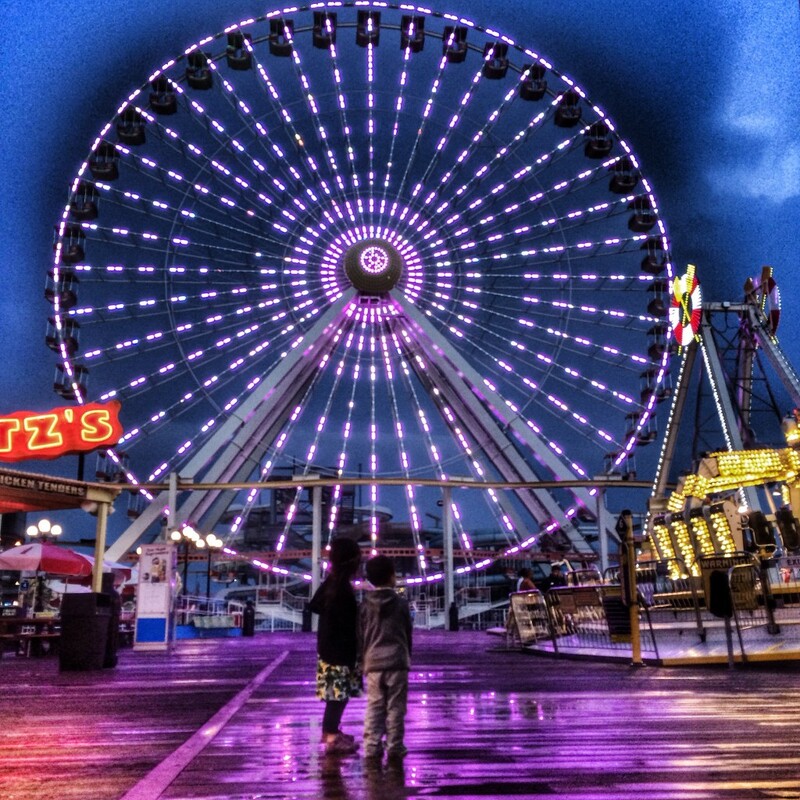 I have no doubt that the children will hold on to the special memories of our long weekend at Morey’s Piers and staying up way past their bedtimes. 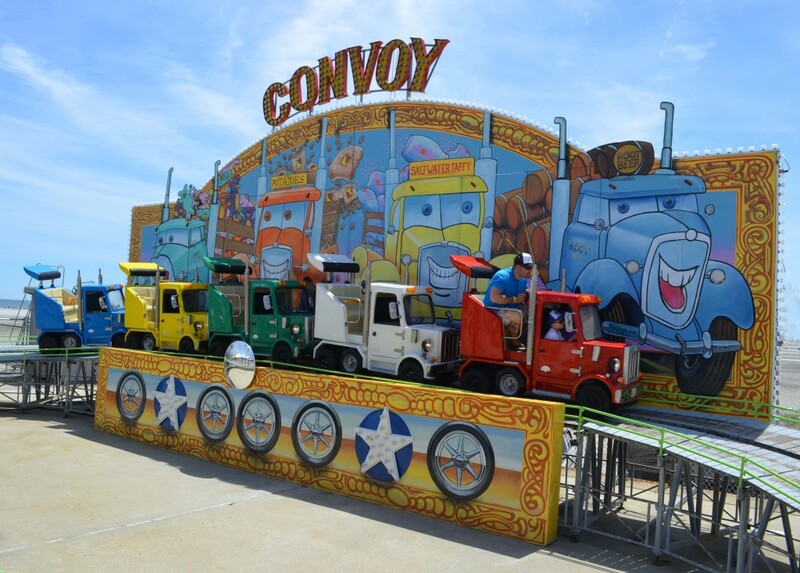 Perhaps many of my favorite moments involved watching them point in wide-eyed wonder at towering rides, nostalgic neon signs and boardwalk excitement through a kaleidoscope of colors. With a three-hour trip outside our home base of NYC, my family will definitely be back for more. 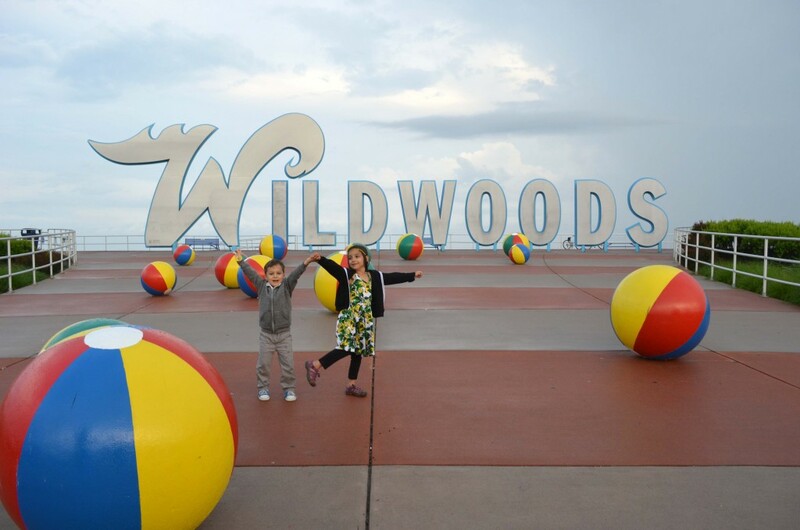 We are grateful for the introduction to a new-to-us part of the Jersey Shore and an incredibly fun-filled family weekend. Connect with Morey’s Piers on Facebook //Twitter // Youtube // TripAdvisor. 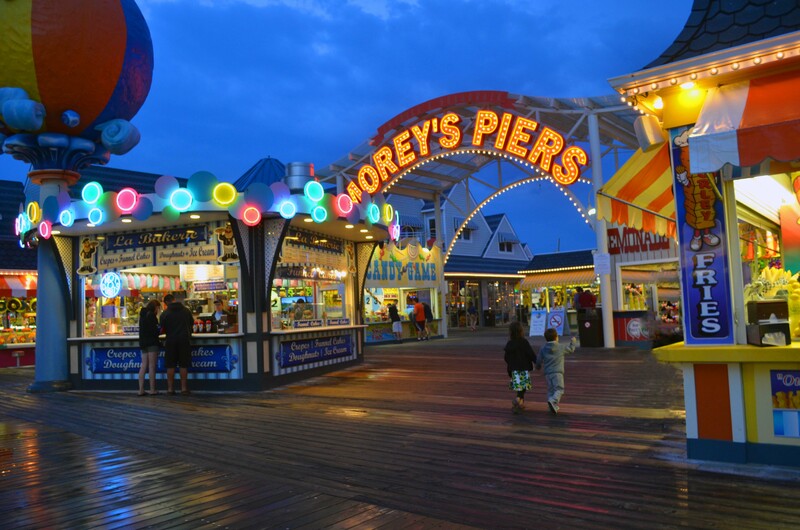 Special thanks to Morey’s Piers for sponsoring my family’s trip with complimentary hotel, food and attractions. Opinions, as always, are my own. 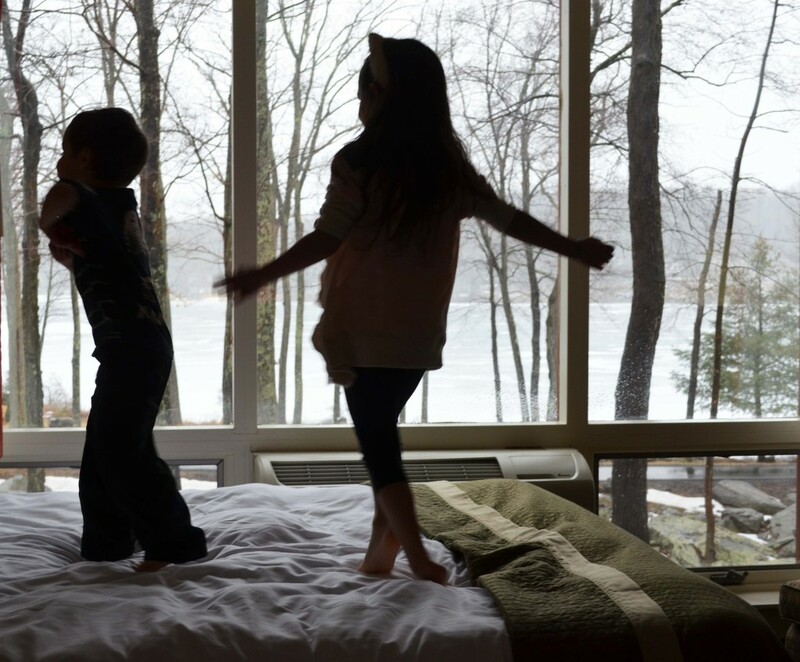 The perfect antidote to a jam packed family schedule is a weekend away to spend valuable time together and return home with a sense of reconnection. 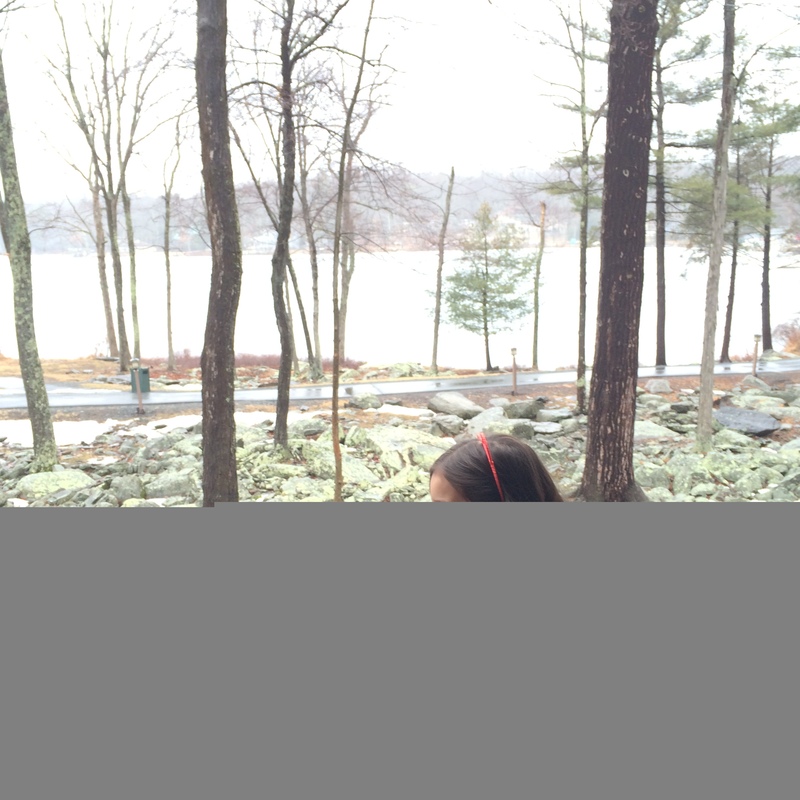 A jaunt to Woodloch Pines Resort in the Poconos Mountains with the Moms and Evenflo turned out to be the sort of memorable respite that my family needed. There is something about being in the heart of nature on a picturesque lake that immediately made us all exhale – even in the rain. Upon arrival, it took significant coaxing to get the kids to actually leave the room. They were pretty thrilled with their new accommodations complete with two bathrooms and a lake-view balcony. The true charm in this all inclusive resort is definitely found in its family-focused atmosphere. 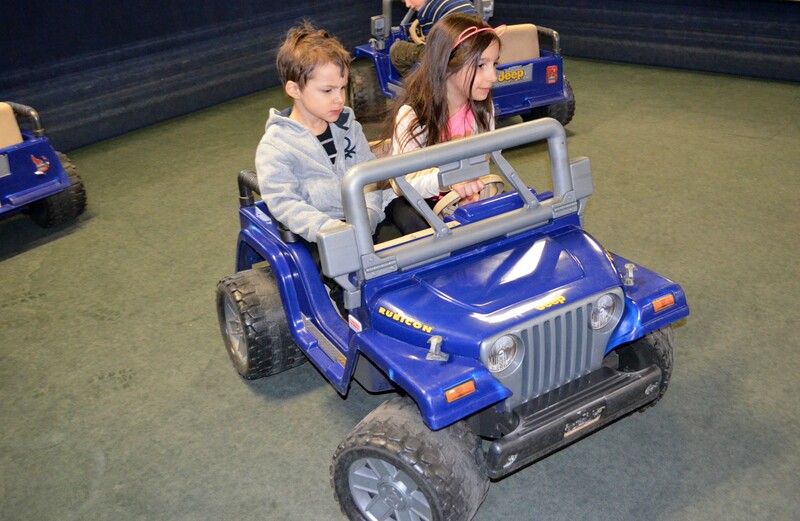 Along with friends – we took the kids on non-stopped activities including indoor kiddie vehicle rides, bumper cars, a play forest and an indoor-pool with a sprawling splash zone safely designed for little water lovers. 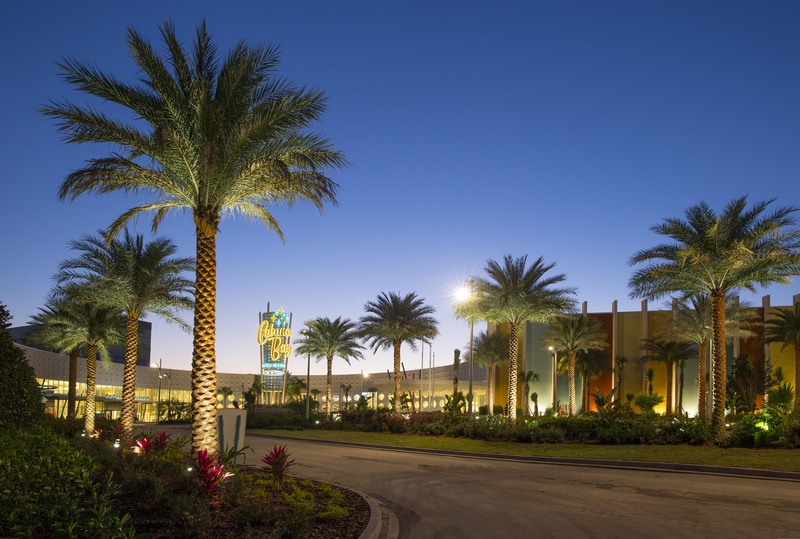 Those seeking a different pace can indulge in the nearby spa, workout room, and rejuvenating amenities. 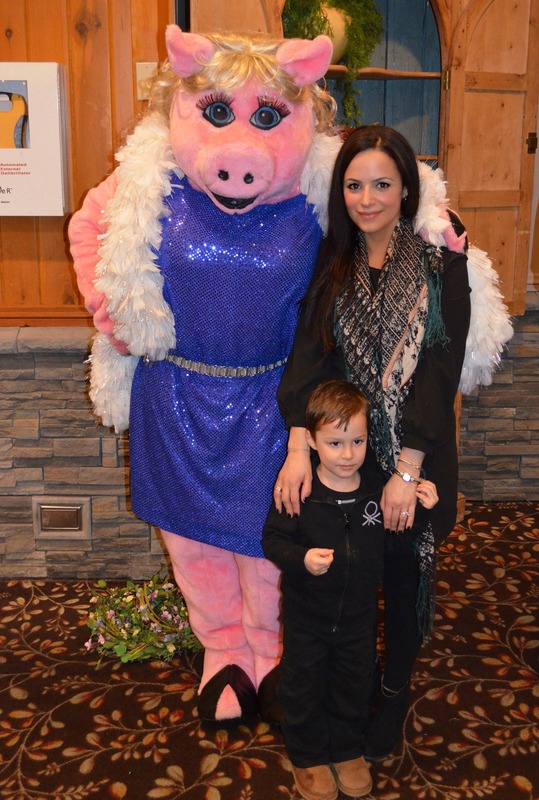 I even had a chance to meet my beloved Miss Piggy, at an 80’s themed dinner complete with an interesting array of characters. I loved that she presented in her full-on 80’s glory – and imagine that modernized costumes would have taken away from the true time-trip back to my early childhood. With set family meal times – it was lovely to connect with fellow blogging friends and their sweet families. And the Woodloch staff quickly accommodated for a larger family table to dine with friends. As usual, the kids went bonkers for characters including a teenage mutant Ninja Turtle and Ariel. 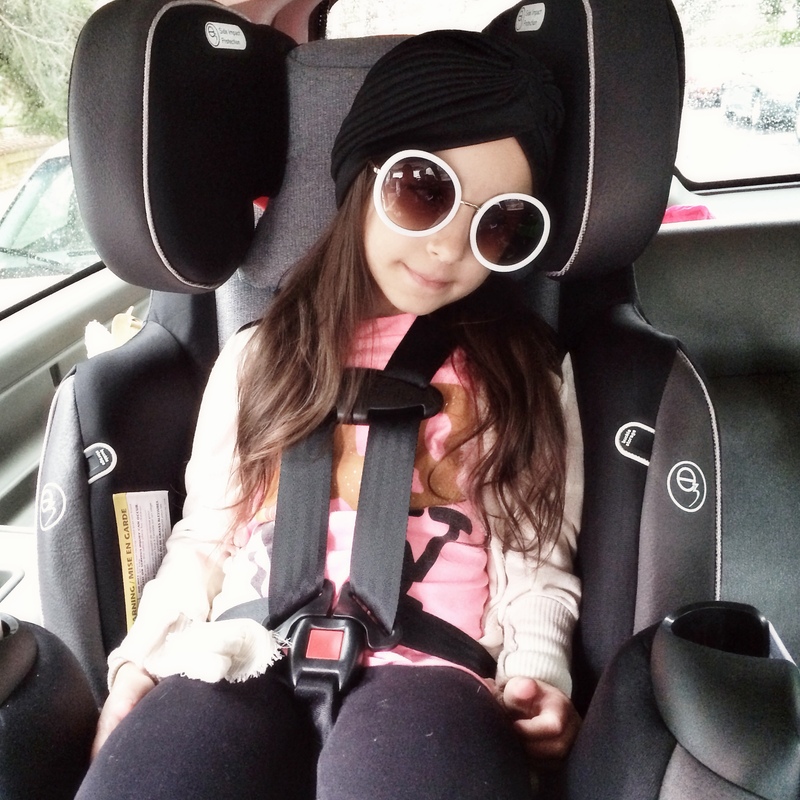 In addition to meetings my daughter’s rigorous comfort factor – I’m most interested in the car seats safety features. Evenflo’s Platinum Protection series is designed with e3Side Impact Protection to significantly reduce the forces in side impact crashes through advanced energy absorption and an expanded zone-of-protection. 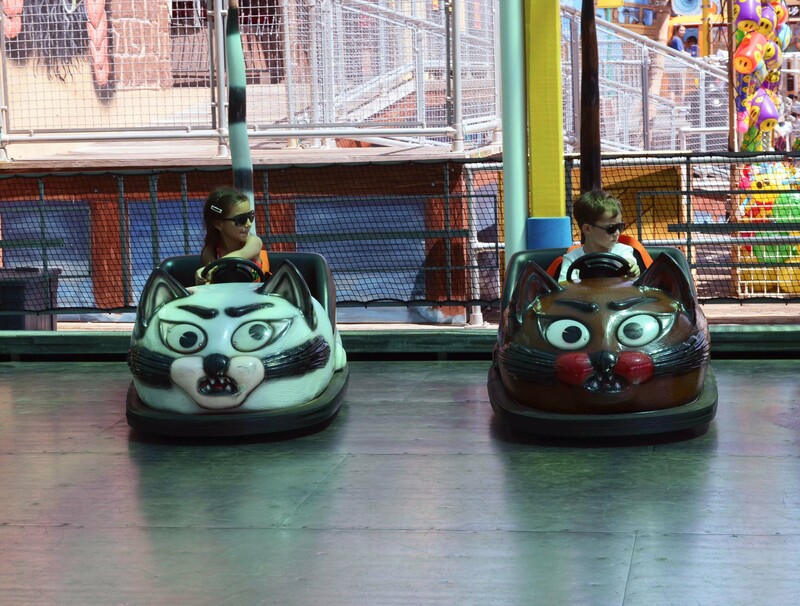 I’m pleased with the numerous safety features which far exceed federal crash test standards. I like how the versatile design can accommodate baby from birth through harnessed booster mode (5-110 pounds!) In addition, the seat boasts many specialty features including buckle pockets to tuck buckles away from getting hot and innovative temperature regulating fabric. I can’t wait to see how the fabric performs during the hotter months. 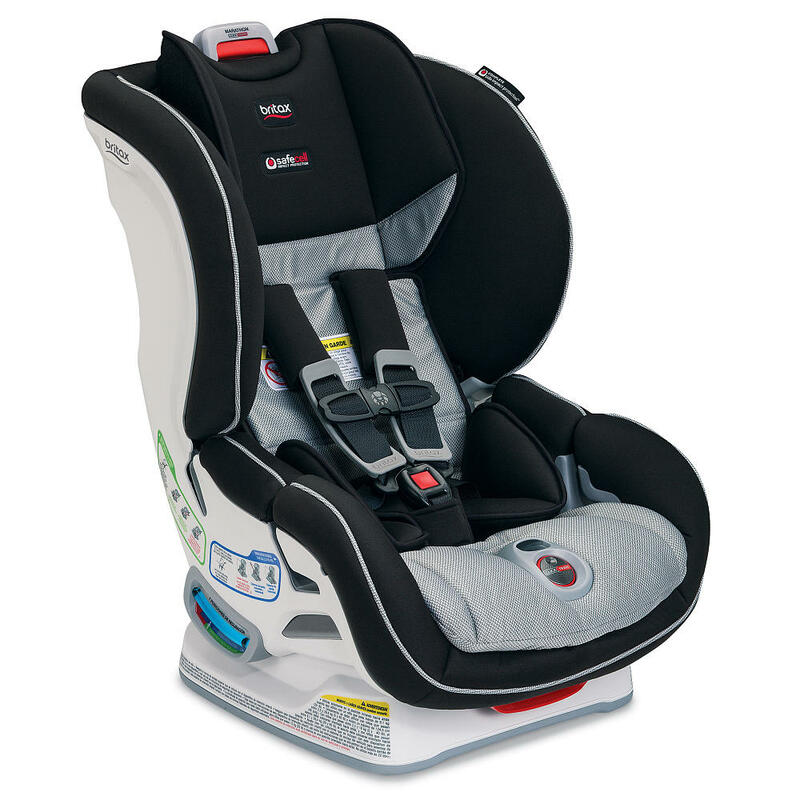 Evenflo Platinum Protection Series Car Seats are newly available at Babies R Us and select stores nationwide. To learn more about Woodloch Pines Resorts visit www.woodloch.com and to learn more about the Moms visit www.themoms.com. 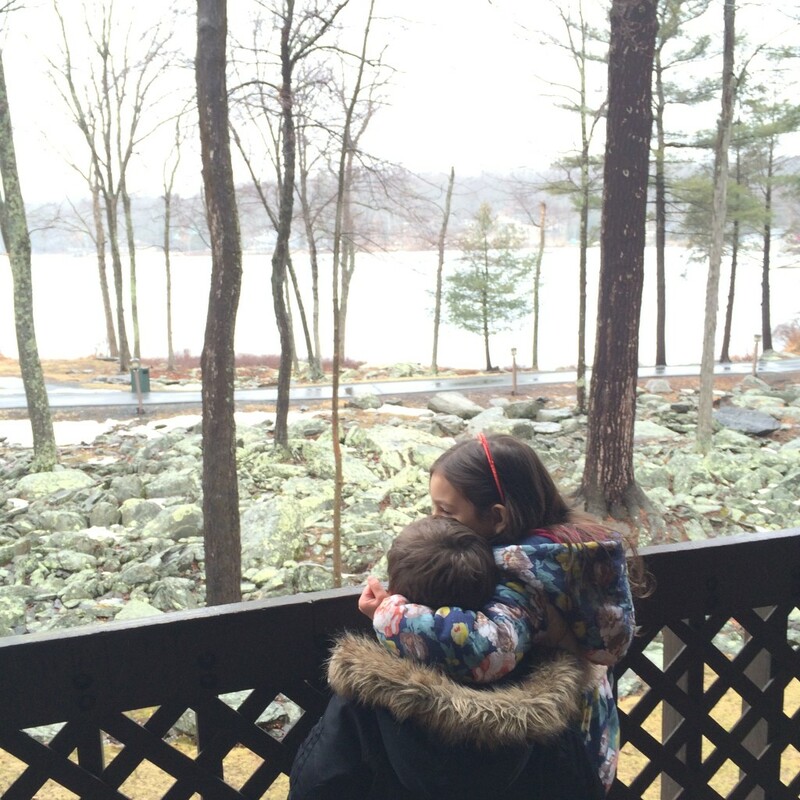 Special thanks to The Moms, Woodloch Pines Resort and Evenflo for an incredibly memorable weekend. All accommodations and car seat were provided. Opinions, as always, are strictly my own. My family’s recent memories of Universal Orlando are filled with cherished experiences – and my little guy is still drawing pictures of the time that he met a minion. As true beach lovers, Universal Orlando continues to tempt us with another visit as they just welcomed the on-site Cabana Bay Beach Resort. The resort is modeled upon the iconic beach resorts from the 1950’s and 60’s – evoking a nostalgic-retro beach resort experience. Boasting stunning views, retro-inspired architecture and sweeping vistas – guests are treated to incredible amenities in a relaxing family-focused atmosphere. More incredible amenities arriving this summer including a second 8,000-square-foot zero entry pool, Universal Orlando’s first lazy river at an on-site hotel, The Hideaway Bar & Grill, and additional moderately-priced family suite and value priced standard guest rooms. 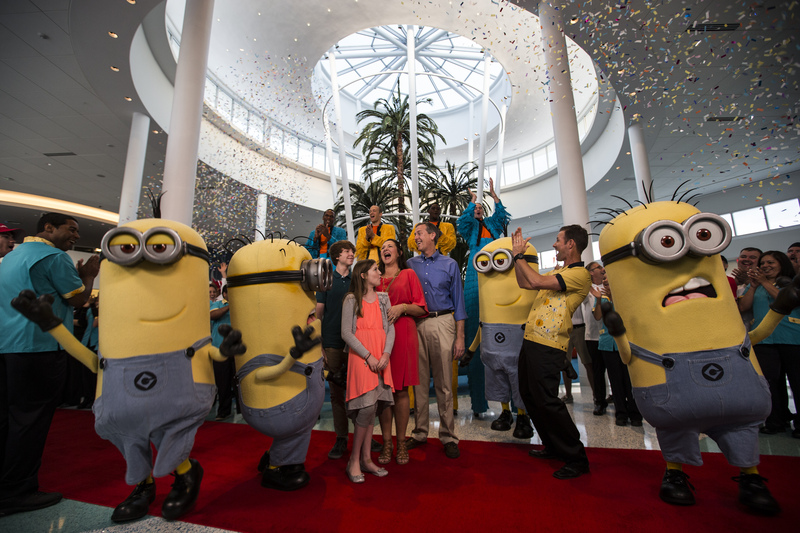 At completion, Universal’s Cabana Bay Beach Resort will feature a total of 1,800 rooms – 900 family suite and 900 standard guest rooms. I was not compensated for this post – I recently collaborated with Universal Orlando on theme park and Blue Man Group reviews. Opinions, as always, are my own.